Beautiful Charming Home in the Heart of Corolla just steps from the beach! It's just the perfect rental home! One of the few homes that has 7 bedrooms in the neighborhood so it has great rental potential! The home will easily accommodate multiple families at a reasonable price. 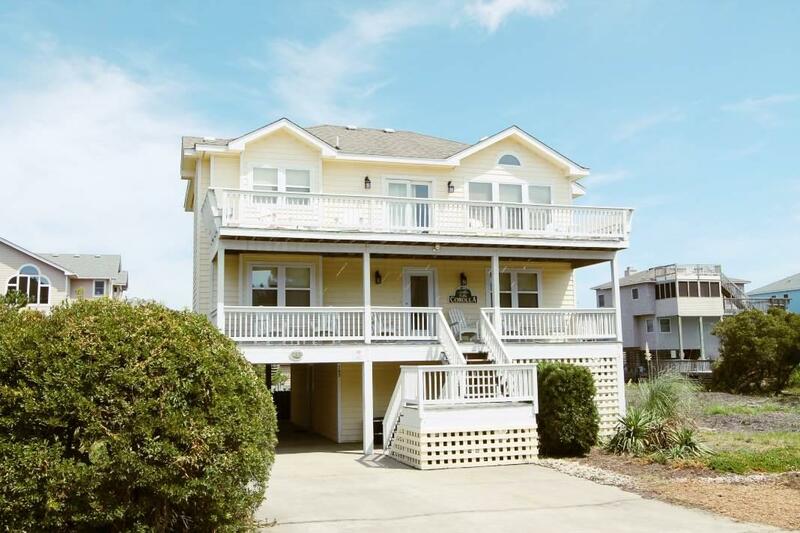 You'll enjoy a nice, spacious top floor living area with decks to enjoy the ocean view plus a top floor master. This home offers plenty of room to spread out with a mid-level den plus a lower level game room. You and your guests will love a dip in the pool when you need a little break from the beach and a relaxing soak in the hot tub. It really is the perfect location...just a very short walk to the beach...and with the smaller neighborhood, the beaches are not crowded like other areas. Plus you have all the shopping and dining you need within walking or biking distance! Timbuck II and the Food Lion Shopping Center are almost right next door with even a movie theater! With rental income over $50,000 this home is one you must see!